Man has limited faculties, nay only to the five senses, so he relies on the wisdom of omens and their meanings. 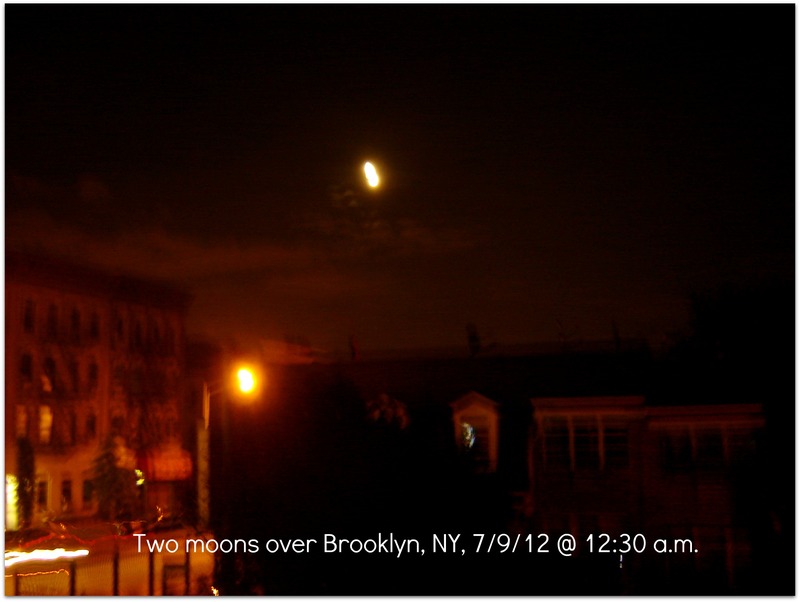 We are saying this because when we awoke to take on our graveyard shift at our place of work, after midnight (12:30 a.m.), July 9, 2012, we looked up the night sky to discover not one but TWO overlapping moons. This is the second time that we saw two moons, the first one was a bit nondescript because when we pointed them out to a friend, he said that there was no such thing. This time though, we had our camera, so we clicked away. Here are the results. We would not discount omens because, if anything, many a time have we encountered them. The one on August 27, 1997 holds a special significance and poignancy to us. We were in the process of bottling coconut wine for delivery to our publics, when all of a sudden ALL the bottles in the first batch cracked from the bottom, spilling out the contents. We knew it was as bad an omen as omens go, so we stopped working. Well, mother had a stroke 12 hours later and never recovered, giving up the ghost on the seventh day, September 3, 1997. 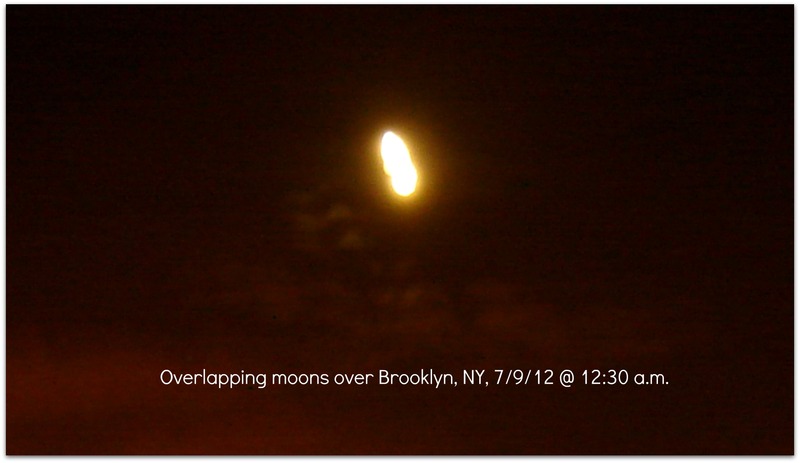 We wonder then what event or events are forthcoming with the overlapping moons? Next Post As Above, So Below. . . Saw exactly the same around 01.00 from Switzerland. First and thereafter a “normal” moon but for a few minutes this double thing. Got almost crazy ’cause I thought I was shaking the cam at first. Something is definitely going on in the skies. Thanks for the validation, for I thought I was going bonkers. And oh, here, it did last a long time, until I got tired waiting for it to change.